The first two products Nike introduced to the basketball market were the low-top "Bruin", and the high-top "Blazer." 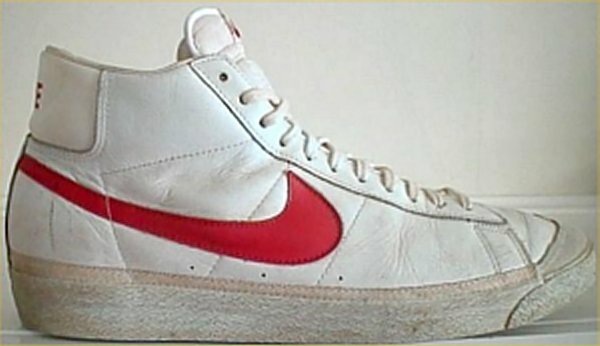 I remember in late 1976 looking for a some new blue and white high-top sneakers... but I got the PRO-Keds suede high-tops instead... at least at that time, I thought the Blazer was "too soft." Such is the thinking when you're 21 instead of 63! 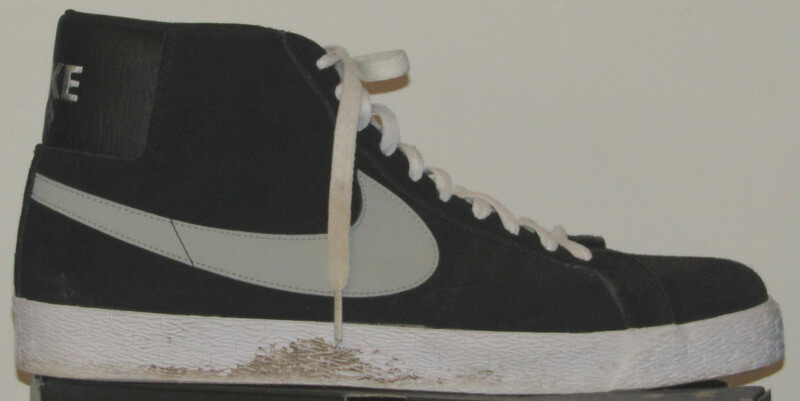 This is the Blazer Canvas high-top. 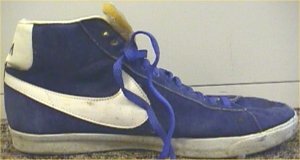 The canvas version of the Bruin, which followed later, was called the "All Court" (and it probably got used on most of them). Nike produced the Blazer in numerous colors of suede and smooth leather. Around 2005, Nike made a reissue as the "Blazer Mid." A ruler check found they were "mid" in name only. I'd like to know what it is with athletic shoe marketing departments reissuing high-tops and calling them mid-tops. People who have rulers aren't fooled! 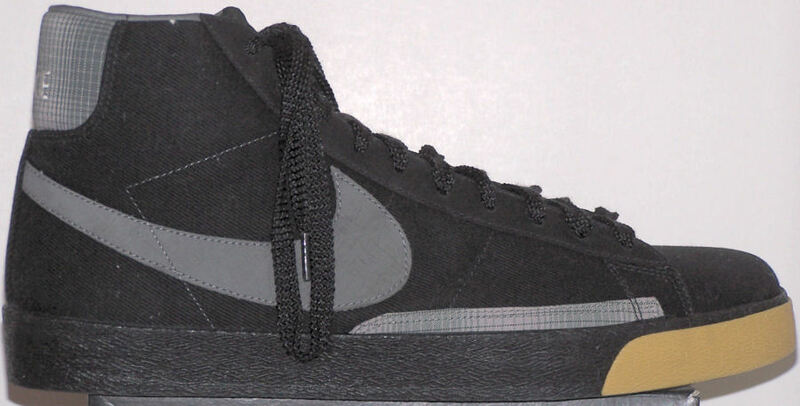 In 2018, Nike Skateboarding released a version of the Blazer optimized for skateboarding. 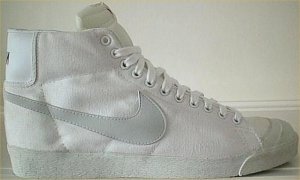 As far as I am concerned, they optimized it for anything else you want to do wearing a pair of Nike Blazer sneakers!